The Aquis hair turbans have an elongated cap-like shape that fits snugly on the head and a button and loop closure to hold the wrap securely in place. Wash hair, gently squeeze out excess water, wrap hair in turban and secure it tin place with the button and loop closure. 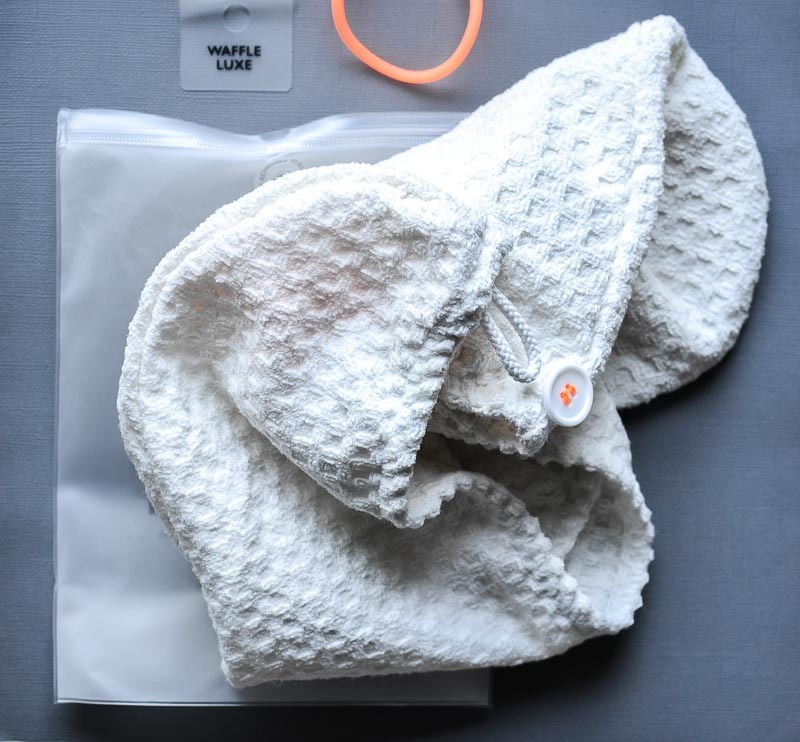 The Aquis Waffle Luxe turban has a woven texture to it, and going by the description and how it's recommended for thicker hair, I was expecting something thick and plush. I was quite surprised by how thin the fabric felt, and I was composing a long, disappointing review in my head before I even used it. After using it a couple of times now, though, I am not so dismissive. Despite how compact the design looks and how not-thick the fabric feels, it is amazing how much water this turban absorbs! I leave the turban on for about half an hour, and once I take it off I let my hair air dry - either until completely dry or until it's about 75% dry and then I blow dry. 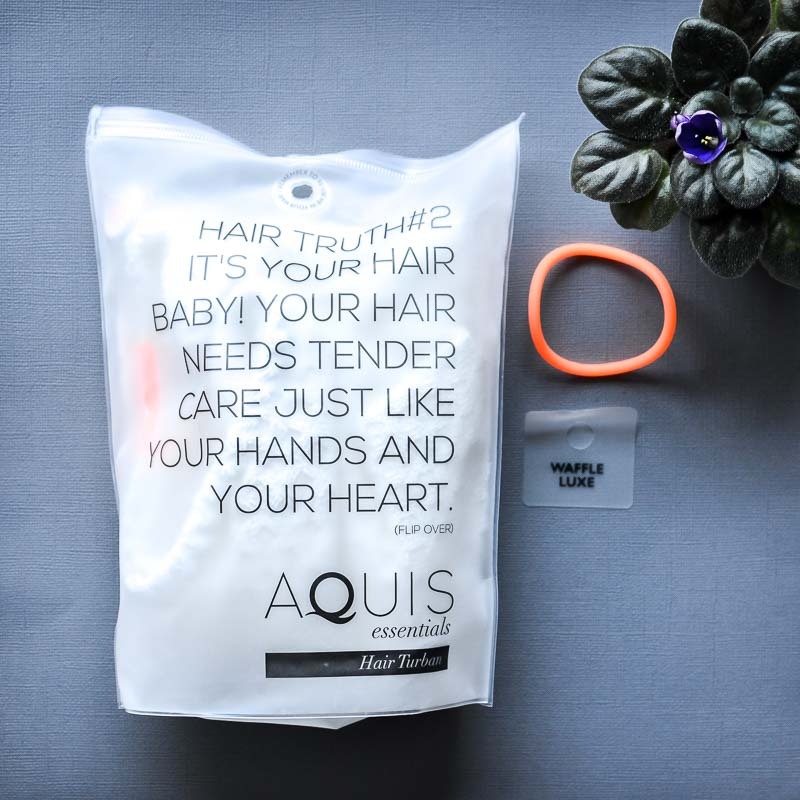 While the drying time hasn't changed dramatically, the Aquis turban does a better job at absorbing moisture than my usual thick, fluffy bath towel which is impressive considering the difference in size. 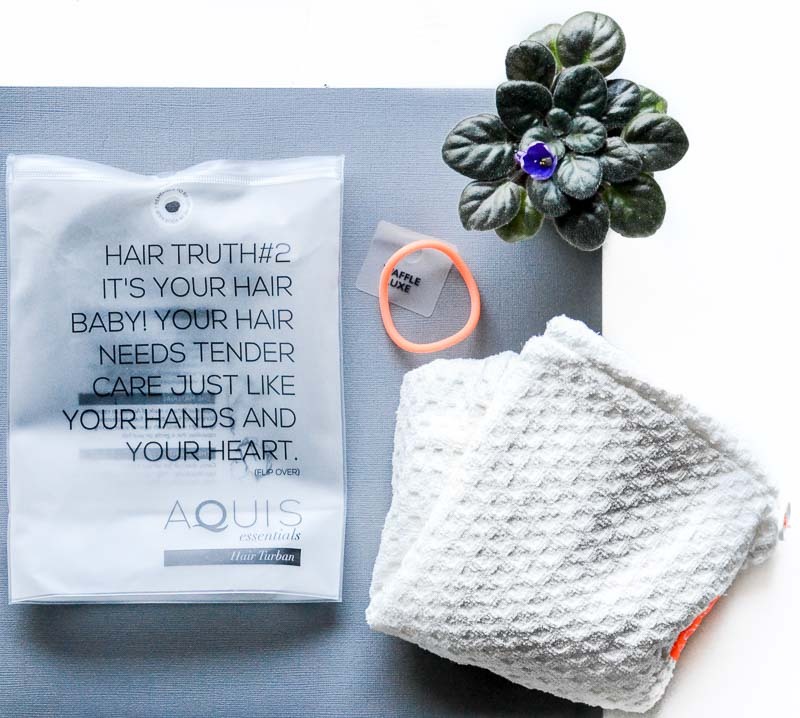 I did read that the Aquis hair towels do a better job at reducing drying time than the turbans, but for me the turban scores in terms of convenience. It's so light-weight I can almost forget about it, and it stays in place securely so I can go about doing other things like putting on my makeup without worrying about my hair slipping out. 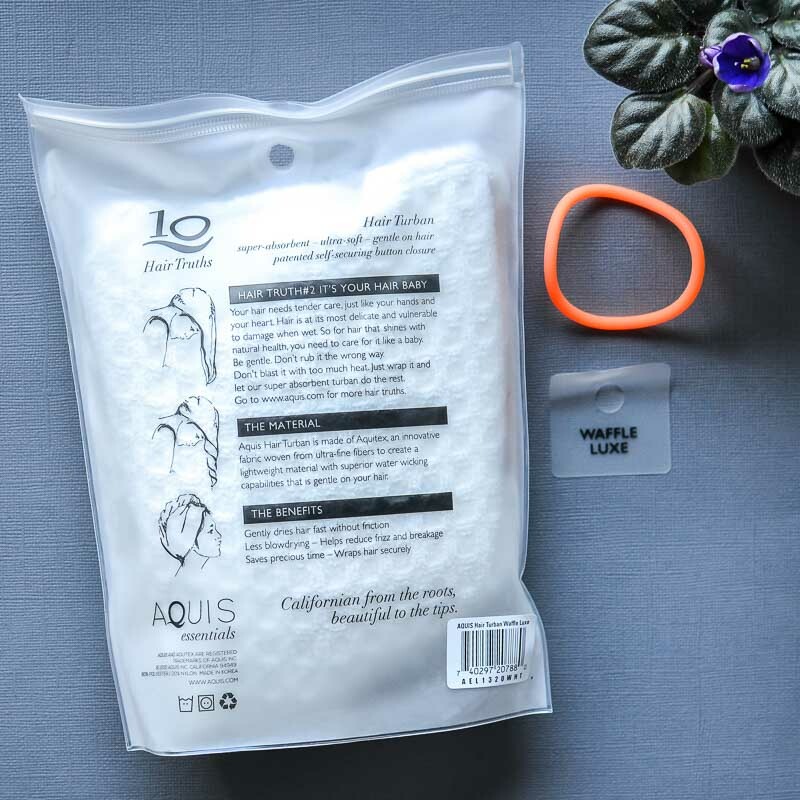 Going just by how convenient and easy it is to use, the Aquis Waffle Luxe hair turban is a must-have for me. The difference in drying time is not much, though the hair turban does seem better than a regular bath towel, and my hair also is a lot less frizzy when I use this. At around $40, this is an expensive towel, but I think these are long-lasting and quite worth the splurge.